A progress never stops, and that is why the innovatory ideas come up to take the traditional methods and help us to create even more delicate, more skillful and more beautiful things. Calendar 2016. 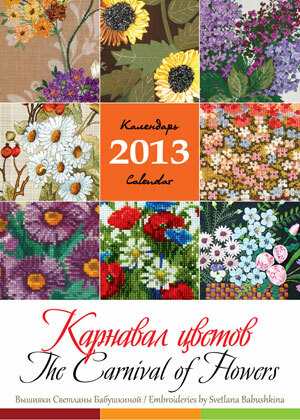 There are new pages of the calendar on our web-site. 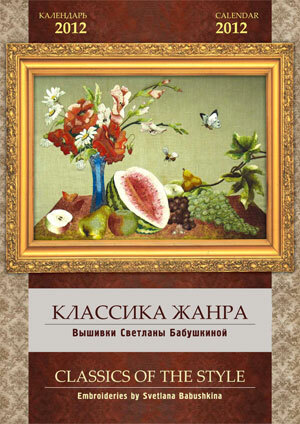 Dear admiers of Svetlana BabushkinaХs art! 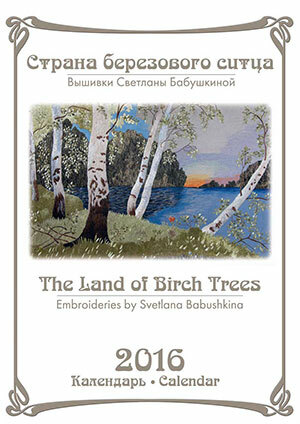 In memory of Svetlana, we now publish the 2016 Calendar, "The Land of birch trees". 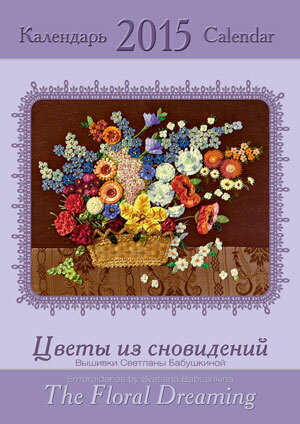 Her exquisite embroideries overlap verses of the great 20th century Russian poet Sergei Yesenin. Together, the images and lyrical poetry will surelly produce warm and positive feelings for all seasons. Calendar 2015. 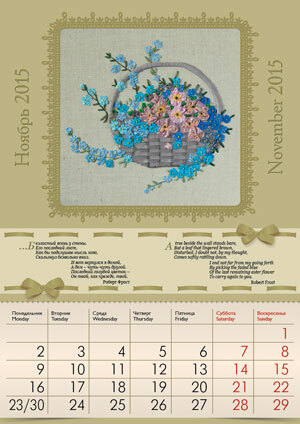 There are new pages of the calendar on our web-site. In 17 May of 2015 in Moscow, my mother, to whom this site "Art by needle" is dedicated, Svetlana Alexandrovna Babushkina, died because of serious illness. It is an irreplaceable loss for our family. Dear friends of the website “Art by needle”! Our congratulations on the 70th anniversary of the Victory Day in WWII! We wish you peace, happiness and health! 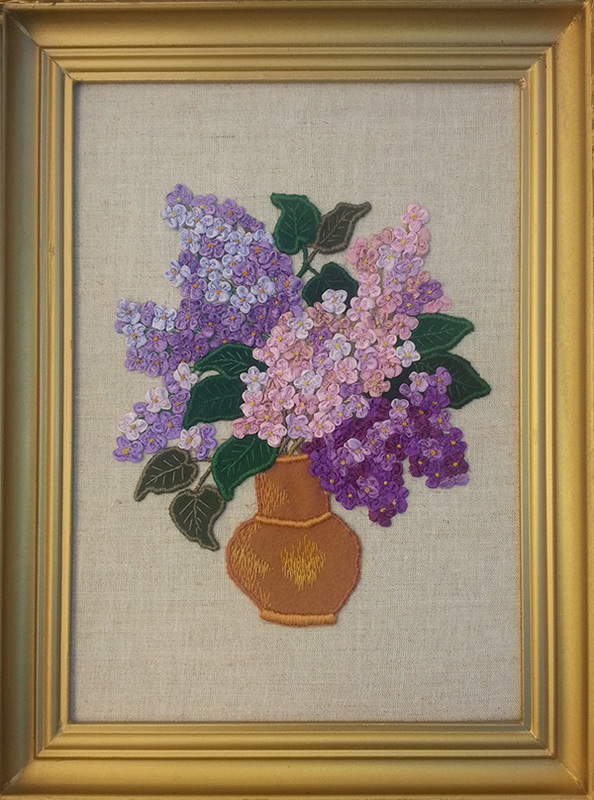 We wish your home would be decorated with the flower of May '45 "Lilac Victory", which decorates the home of our needlewoman Svetlana Babushkina. Dear friends of our website! Read new comments about the throw-over calendars. 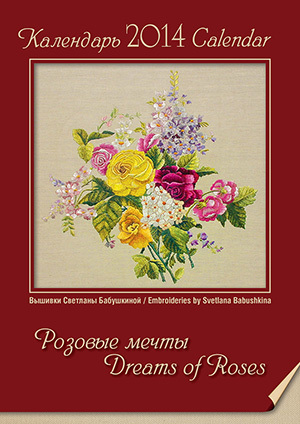 The Calendar 2015 "The Floral Dreamings" was composed of the flowers embroidered by Svetlana Babushkina and poems devoted to flowers. All of flowers were made in silk ribbons and the petal by the petal assembled into exquisite compositions. And the lyrical lines fetched out the character of each flower. You will be pleased by these flowers and verses at any seasons. In anticipation of 2014 the next calendar of the art works by Svetlana Babushkina printed out and set off to different cities and countries. This calendar is called "Dreams of Roses" and the embroideries in it devoted to the flower queen - rose – overlaps with the verses of World Poetry. 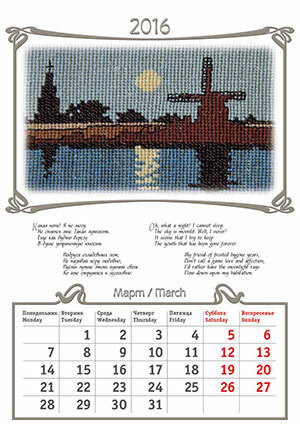 During the eight years that we produce calendars with needlewoman’s work not only increased the number of admirers of her talent increased, and so increased the number of cities and countries where calendars are waiting each year, where art lovers open a new page each month and where they pleased with the beauty. 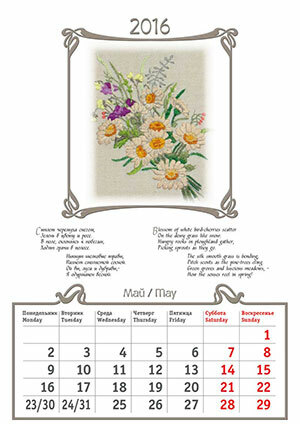 In Russia the calendars hang on the walls in Vologda and Kolomna, Ryazan and Vladivostok, Rostov-on-Don and Astrakhan, Novosibirsk and Veliky Novgorod, Moscow and Moscow region, in Ukraine they are in Kiev, in Odessa and Donetsk, in Simferopol and Sevastopol. In Europe they are in Poland and Germany, Greece and Italy, France and Sweden, in Asia they are in Israel, India and the Philippines, in South America is in Brazil, and North America are Canada and several U.S. 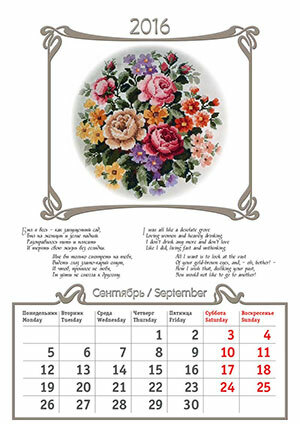 The calendar 2013 “The Carnival Flowers” has been composed of Svetlana Babushkina’s embroideries made in different thechniques — satin-stitch, cross-stitch and silk ribbons — and devoited to flowers overlaps with the verses of Russian poets. 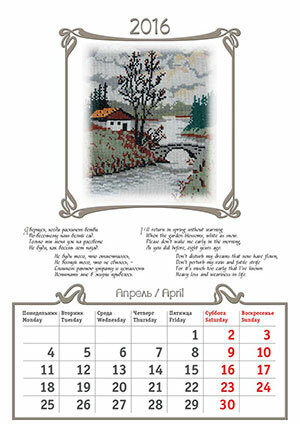 The calendar-2012 “Classics of the Style” has been composed of Svetlana Babushkina’s satin-stitch embroideries and “Sonnets” by W. Shakespeare. 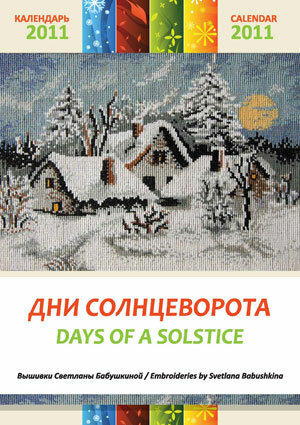 The calendar-2011“Days of a Solstice” combines Svetlana Babushkina’s landscapes embroidered by her skillful hands with Boris Pasternak’s lyrics. The choice of the poet is not a coincidence. The embroideress loves Pasternak’s verses from her youth and, according to Andrey Sinyavsky, the poet paid his foremost attention to the nature.